The best overall leading indicator (KPI) we have found is the number of near hits (or near misses) divided by the of loss events (accidents). We even now know the target values for these. Less than 5 is poor and indicates you are learning more from accidents than from free near misses. Greater than 20 is good. Greater than 50 is excellent. A related KPI is the number of near misses that are investigated to root causes divided by the number of loss events. This ratio should be at least 15. There are many other leading KPI we have tried and many have proven useful. These fall in the category of “making sure the EHSQ activities are being accomplished each day/week”. For instance, how many BBSM observations were performed per worker (should be 4/month/person or higher). How many JSAs performed per month (no target and it must be compared to the work activities); how many per new type of task is better to measure and should be close to 100%. In process safety, there are many as well, such as the average delay in completing the first review level for a requested change; or the number MOCs that did not get a risk review (which should be zero); or the number of recommendations that are pending resolutions after 30 days, 60 days, 360 days, etc. 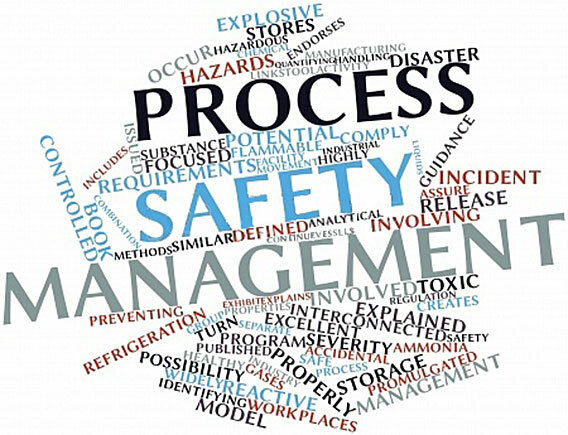 For process safety, we normally have 100-150 different KPIs. For occupational health and safety, there are about 50 we normally use. For Quality, the leading indicators mostly overlap with the process safety leading indicators, since most of the effort in each (PSM and Quality) is to control human error of normal job activities.